In the spring of 2012 I asked parents and family members who were waiting during their child’s surgery in the Surgical Day Care Unit of BC Children’s Hospital how we could improve the space. Since it was a large but windowless room feedback indicated that it would very helpful to have art work that would have some connection to the outdoors. 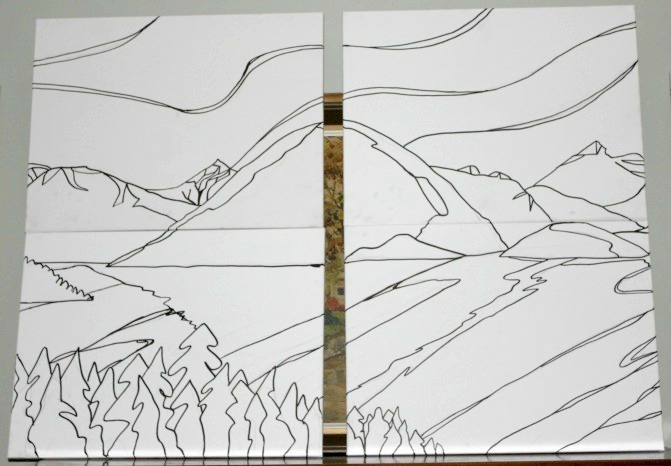 The first step was to create a small painted “sketch” on paper and I chose to create a panoramic painting based on Howe Sound and my imagination. 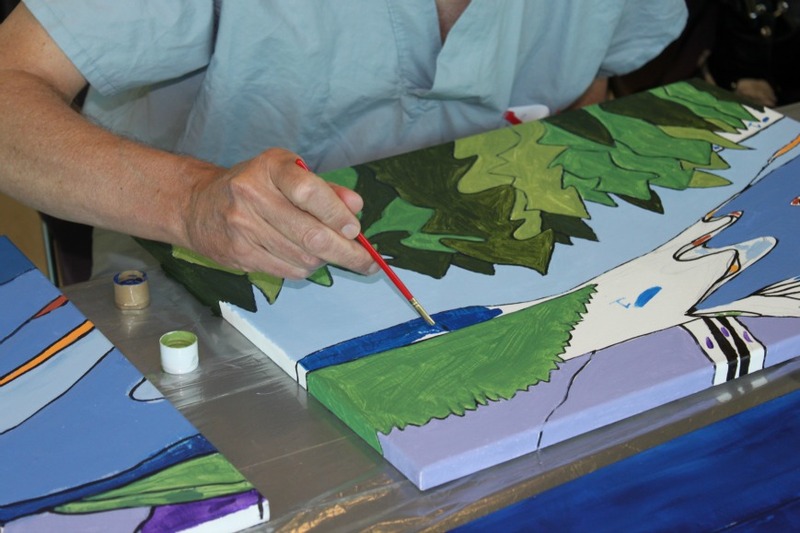 My influences were Lawren Harris and Tom Thompson from the Group of Seven, stained glass and antique block prints. Last but not least I was influenced to add the yellow and rust in the water by west coast artist Michael Tickner. 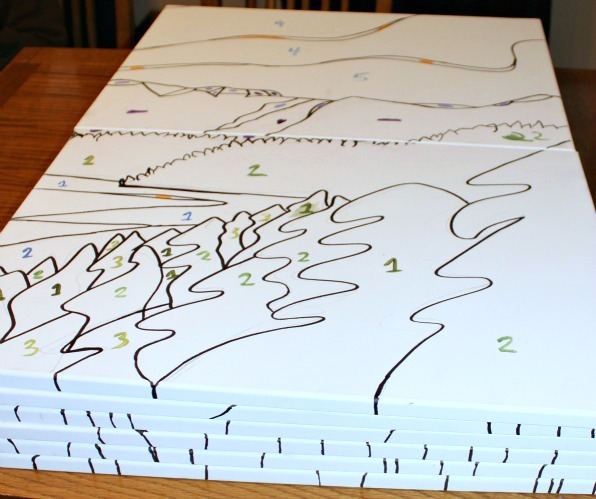 Then I recreated the painting on 12 – 18″ x 24″ canvases in a paint-by-number format. The Team Finn Foundation provided the canvases, the paint and all of the paintbrushes that were needed to see this come to fruition. 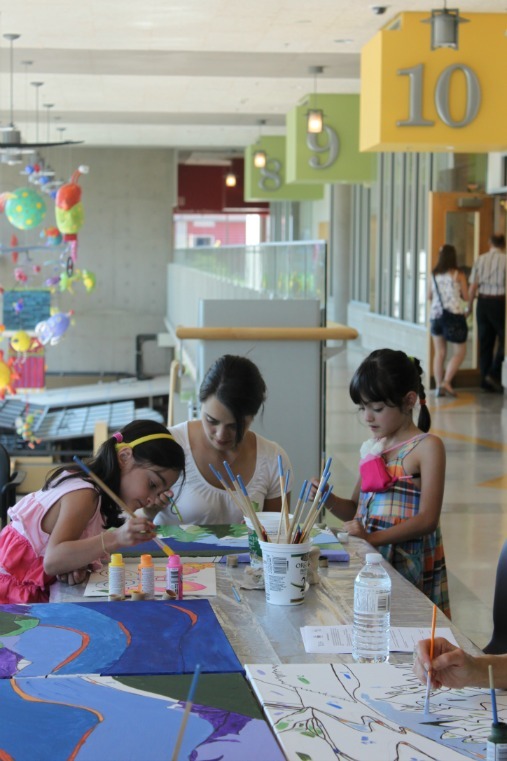 In late July 2012 we set up painting stations and hosted the PaintFest throughout the day in various spots in the hospital. 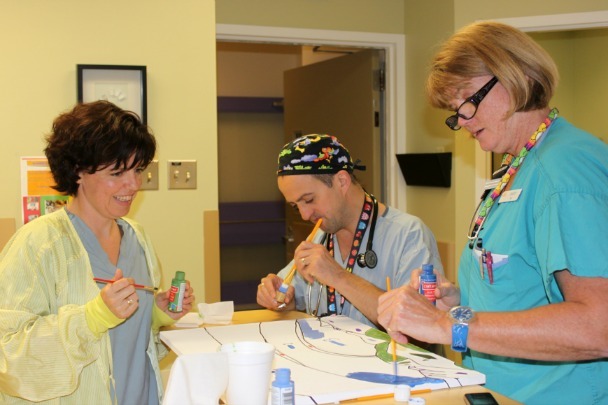 Patients, siblings, parents, and a variety of hospital staff (physicians, nurses, clinical leaders, maintenance people, physiotherapists, social workers) all participated. At the end of the day I brought the paintings back to my studio and spent about a week touching up and finishing the art. 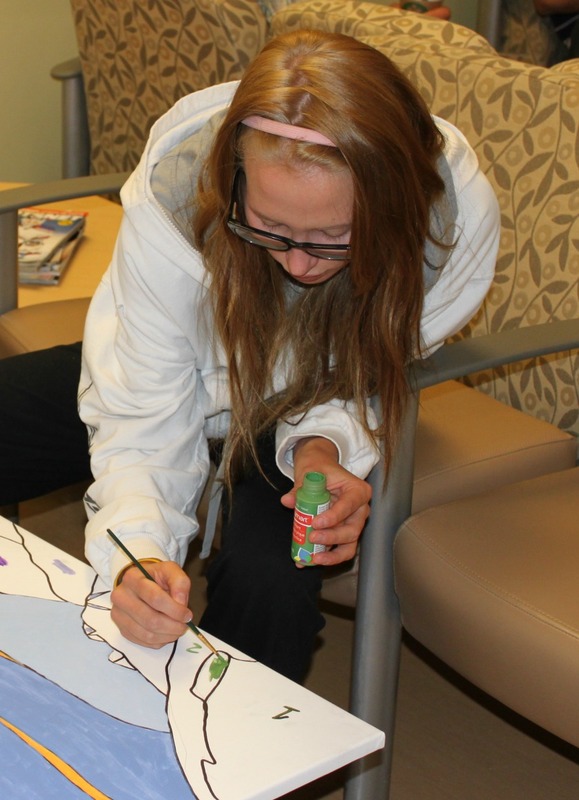 We then hung the multi-canvas painting in the Surgical Day Care Unit waiting area. The families who use the area love it. They say it provides a connection to nature and it helps them feel calm during the stressful time waiting for their child to come out surgery. Staff are very proud of the new look and are very pleased to know that they, along with the patients and families they serve, participated in creating a healing and pleasant environment. Photos of the BC Children’s Hospital PaintFest provided courtesy of the Partners in Care Patient & Advisory Program for BC Children’s Hospital, Sunny Hill Health Centre and BC Women’s Neonatal Program.